Look, you want to make a film with the most ridiculous premise ever: I’m with you. A murderer who transfers his sould into a doll that comes to life? Okay, let’s do this. 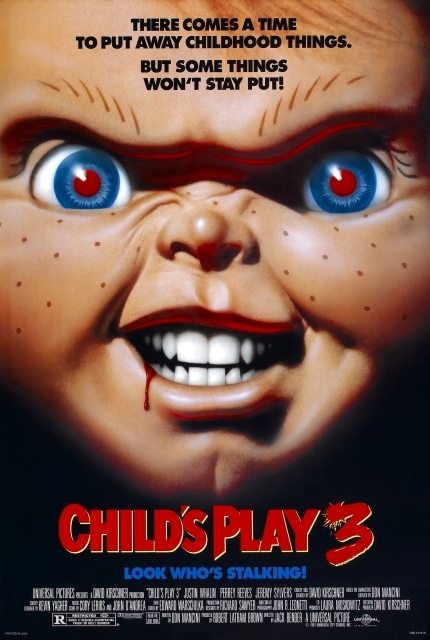 But when basically the first rule you establish is that Chucky can only take over the body of the first person he reveals his true nature to (for whatever reason), and then suddenly it’s “well, maybe that rule isn’t true after all”, you need to have a damn good reason to doubt that rule. And I might still be able to go along with it in this case, because Chucky is brought back again, so maybe that’s a reset. But he isn’t sure about that at all and still resolves to kill Andy before transfering his soul into Tyler. Which means that first, he lets several good opportunities pass to take over Tyler, giving Andy a lot of chances to get in the way in the first place, and second, if his plan works but his theory about being able to transfer his soul into Tyler is wrong, Andy is dead and he doesn’t have any other options anymore. And that’s just plain stupid. And of course, you can say that I’m thinking too hard about this, it’s a film about a murderous doll after all, but it actually kept me from enjoying the film because I was annoyed with all these inconsistencies. And then it all culminates in a showdown at a fairground that was completely random and overblown and just didn’t work for me at all, ending the film on a particular low note to boot. There really was nothing that was actually good about the film, making it simply an annoying experience. 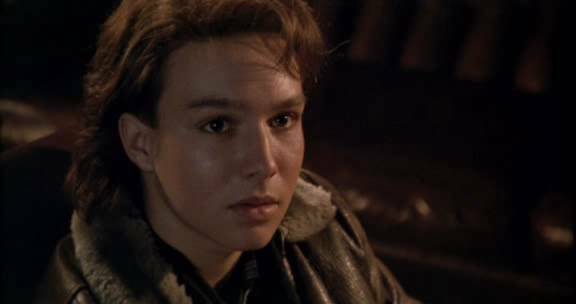 This entry was posted in movies and tagged 1991, Brad Dourif, Child's Play, Child's Play 3, Dakin Matthews, Dean Jacobson, Don Mancini, Jack Bender, Jeremy Sylvers, Justin Whalin, Perrey Reeves, Peter Haskell, Travis Fine by kalafudra. Bookmark the permalink.